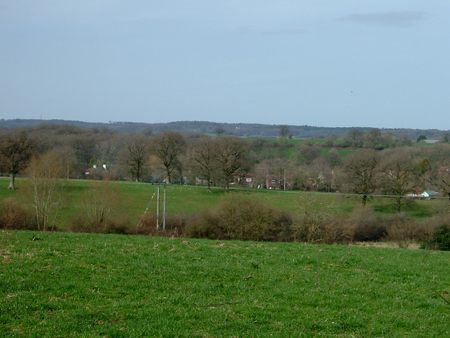 Hamstead Marshall is well served by public rights of way on which it’s possible to walk off-road through scenic countryside for an hour or more, hardly leaving the parish. Five circular walks are detailed below, centred on either the (former) White Hart/Elm Farm or Hamstead Mill. See 18 short walks (1 to 6 miles) within 5 to 30 minutes’ drive of the village. Beginning at Hamstead Mill, this walk of about 3.75 miles takes you westwards along the canal, over Morewood estate via Irish Hill, and along Irish Hill Road back to Hamstead Mill. This can be combined with Enborne Wood Walk to make as a figure-of-eight walk of about seven or eight miles, centred on Hamstead Mill. 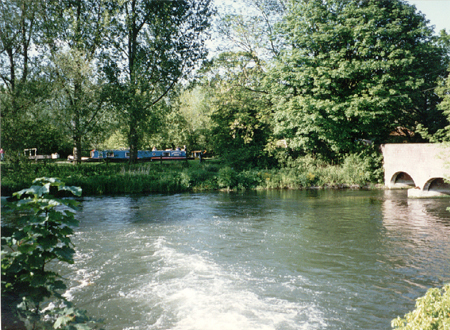 This three-mile walk begins at Hamstead Mill, eastwards along the towpath to Benham Lock, and then through Enborne Wood, past Enborne Church, circling back through Hamstead Park. This can be combined with Irish Hill Walk to make a figure-of-eight walk of about seven or eight miles, centred on Hamstead Mill. 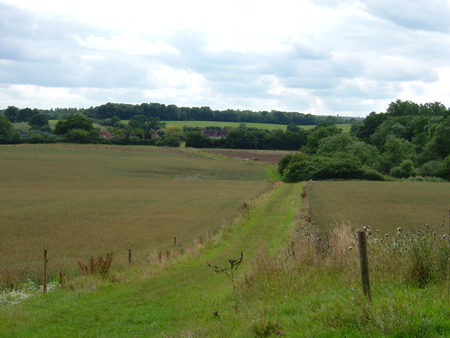 Just west of the (former) White Hart, the Elm Farm bridleway begins a walk of nearly four miles, taking in the site of the old Craven mansion (which burnt down in 1718) and its Regency successor, Hamstead church and mill, before crossing the park and rejoining the Kintbury Road via farmland, and returning to Elm Farm. This can be combined with Holtwood Walk to make a figure-of-eight walk of about seven or eight miles centred on Elm Farm. This three-mile walk starts opposite the (former) White Hart, and takes the driveway up past Plumb's Farm, over a field, through Briffs Copse, across more farmland, and then joins a quiet lane to Holtwood. A footpath across Elm Farm land brings you back to the start. 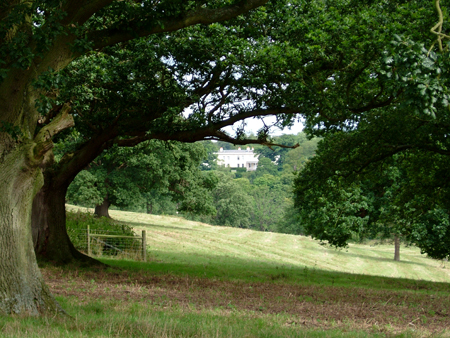 This route can be combined with the Old Mansion Walk to make a figure-of-eight walk of about seven or eight miles, centred on Elm Farm. This two-mile circular walk touring Elm Farm's 235 acres displays organic farming in action, complete with ponds, old hedgerows, pollarded willows, unploughed grassland, old clay pits, and track verges rich in old-fashioned flora. Trail leaflets can be picked up from the start of the walk, where the bridle path leaves the Kintbury Road (opposite the farm car park) or from the farm office, or downloaded from here. A public footpath follows the surfaced driveway into Hamstead Park from beside the mill and lock. 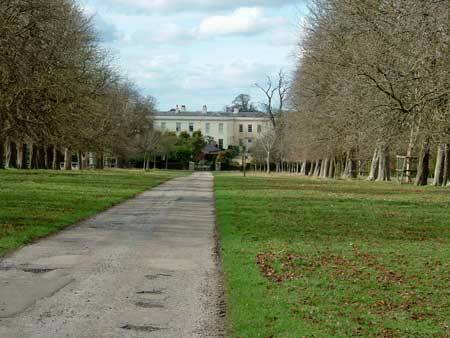 About half a mile takes you through the parkland, around the lakes and up the hill. At the top the footpath leaves the tarmac to go over grass, so turn here and return. Alternatively, the canal towpath eastwards from the lock towards Newbury is surfaced for bikes, and is a reasonably viable surface for buggies. A couple more suggestions for buggy-able walks can be found on the 18 Short Walks page.